obligations given to you in respect of your inheritance payment. CONTRACT PAYMENT OF APPROVAL ON CONTRACT NO: FGN / NNPC / 022996 / CB / 2018. Because of your response and complain i tried calling you twins which you did not pick the calls so try and call the below number anytime you read this mail alright. Please follow the instructions given to you by re-forwarding all the data which will enable us verify that we are dealing with the right person ok.
All that is require from you is reconfirming the requested details to enable us proceed with the updating of your file as soon as possible: FULL NAME,PRIVATE TELEPHONE NUMBER,DELIVERY ADDRESS,BANKING DETAILS, MARITAL STATUS,AGE,COMPANY NAME AND SCAN INTERNATIONAL PASSPORT OR DRIVER'S LICENSE as a mark of sincerity in receiving your ATM PLATINUM CARD worth $10musd. Subject: EVIDENCE OF YOUR ATM CARD PAYMENT!! How are you and your family hope you having a lovely weekend with your family? 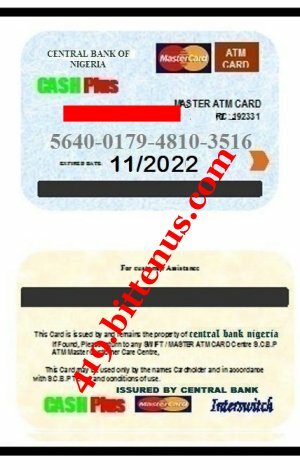 Well in regard to the promise made within that once the approval is out and the copy of your ATM PLATINUM CARD i will attach the copy to you as instructed by the board so what you need to do quickly to enable you receive the had copy of your atm card alright. Now you will have to made yourself available within the next seven working days for the endorsement of the hard copy of your Atm at the head office of Central Bank Of Nigeria atm office as the Presidency has warm all the executives in charge of foreign matter not to collect any dime from anybody in regard to this transaction because we are trying to rebuild this nation from the hands of impostors. You are only coming with your valid identification card that bears your name on the Atm Card without a dime. Have a nice weekend and also try and call me my number so we can have a brief discussion with you +234-701-663-6711 . Subject: ACKNOWLEDGE THE ATTACH ATM CARD!! Happy Sunday to you hope you are doing alright? What is been the problem that you refuse updating us if you receive the attach copy of your atm card which has be attach to you as evidence of payment which we are waiting for your acknowledgement on when you are coming for the endorsement ok.
How are you and your family hope you having a lovely weekend ahead with your family? Following the meeting in regard to your received mail of not being able to raise the required amount payment due to lake of money the board has decided to help you so you can be able to receive your compensation payment by asking if you can be able to raise the courier delivery which is low spending than paying for the hiring of a Lawyer so confirm quickly so we can confirm that and notify you quickly because the Central Bank wants to close their file for the years ok. 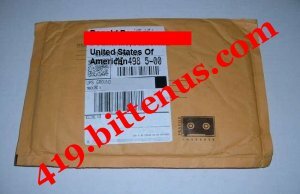 The Courier Delivery payment is for the delivery of the Final Release Document which you will sign and return back to enable the payment center release your hard copy of your Atm Platinum Card for immediate delivery through Courier Company to your given house address that is all we need from you so take note alright. Have a nice weekend and also try and call me my number so we can have a brief discussion with you + 234-701-663-6711 . Update us on what you can be able to raise so we can know what we can be able to do in order to make sure you receive this parcel as soon as possible. Try and call me on my number so we can have a brief discussion with you + 234-701-663-6711 . How are you hope you are doing alright by the grace of God. Can you be able to raise $100 so i can help you borrow the balance if alright by you than let me know quickly. Have a nice day and also try and call me my number so we can have a brief discussion with you + 234-701-663-6711 .